Debt Consolidation or Bankruptcy…Which is Better? Most of my St. Louis bankruptcy clients have exhausted all of their options for resolving their financial problems before coming to speak with me. These options usually include debt settlement or debt consolidation programs. Most people believe that doing a debt settlement or consolidation program is better than filing for bankruptcy, but, in my experience, that is actually rarely the case. My clients complain that bankruptcy will ruin their credit. However, settling or consolidating your debt also hurts your credit for many years. Creditors typically report your accounts as being delinquent until they are actually paid. Additionally, even after you have settled your debts, creditors can report to credit bureaus that the accounts were not paid in full, which will adversely affect your credit rating. On the other hand, if you file for bankruptcy, any debt included should be reported to the credit bureau as being discharged, and show a zero balance. Additionally, bankruptcy protects debtors by preventing creditors from reporting new negative information to the credit bureaus once the case is filed. When you consolidate and/or settle your accounts, the end result is that you end up paying a large portion (if not all) of the debt. In most bankruptcy cases you pay nothing to the unsecured creditors, such as credit cards, medical bills, and pay day loans. Additionally, if you settle a debt then the “forgiven” amount may have tax consequences, which will cost you additional money. A bankruptcy discharge does not result in tax consequences for the debtor. The debt simply goes away and you move on to building a new financial future. While you are in the process of settling or consolidating your debts, you can be sued by the creditor. Negotiating with creditors is a long process and can take years to complete. If a creditor obtains a judgment against you, then you may face garnishment and levy. Bankruptcy will protect you from being sued, while giving you the opportunity to either repay creditors, or in most instances, wipe out the debt completely. For example, if you file a Chapter 7 bankruptcy, you may be debt free in as little as four months. Finally, a lot of debt settlement companies end up being scams. These disreputable companies take your money and run or are not upfront about the amount of their own fees, which are usually quite substantial. In the end, many individuals end up paying even more than they owed to begin with. A large number of my Missouri and Illinois bankruptcy clients go through debt consolidation before seeing me, and none of them say good things about their experience. If you are struggling with debt, make an appointment to speak with a bankruptcy attorney. 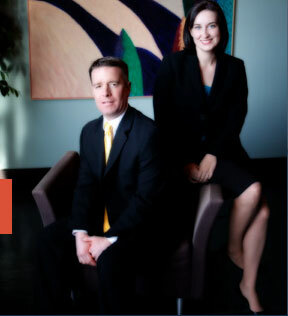 Most St. Louis bankruptcy attorneys offer free consultations, so the only thing it will cost you is your time.